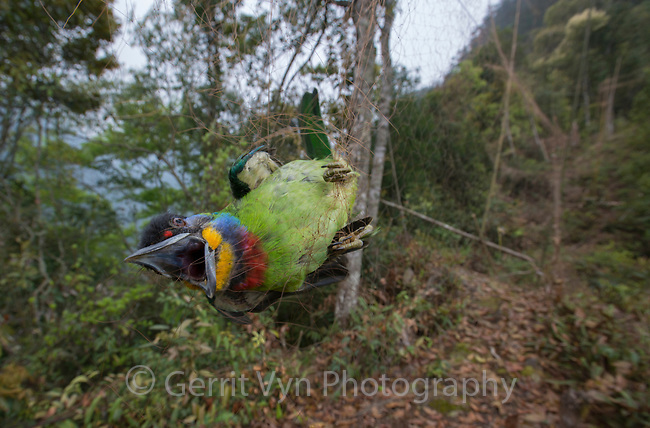 Chinese Barbet (Megalaima faber) caught in a poachers mist net. Guangxi, China. March.